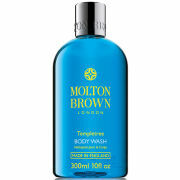 The powerful essential oils of thyme, basil, and neroli in this uplifting shower gel will truly awaken body and senses. Invigorating mandarin and lime oils further revitalise and refresh, whilst natural mango conditions and cares for your skin. TBC - special care and awareness. Mango, Thyme, Basil, Mandarin, Lime, Neroli. 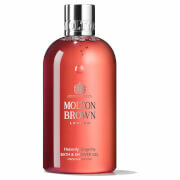 I love the smell of this shower gel. It leaves some herbal and spicy scent on your skin . It is subtle and dedicate, definitely not cheap smell. As a guy, I found myself comfortable with this smell. It is not easy to apply the shower gel though. Also I would like it comes in 500mL or more.